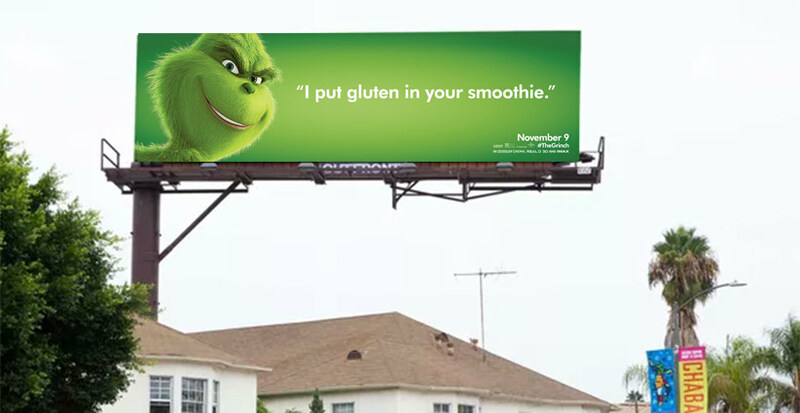 Billboard adverts for ‘The Grinch’ movie are angering the coeliac community as they appear to make light of the severity of the autoimmune disease. The national promotional campaign in the US for the new animated remake of the festive film “The Grinch” feature the mean green creature delivering withering comments to passers-by. The strategically placed adverts target passers-by with bespoke messages, such as “Good luck getting those Hamilton tickets” to those on Broadway in New York. However, one poster, in particular, has drawn criticism from the coeliac community due to the fact it makes light of the serious medical condition. The quote from the cartoon character states: “I put gluten in your smoothies”, presumably to poke fun at those who avoid gluten as a dietary fan rather than as a medical necessity. Popular coeliac blogger Gluten Dude took to his blog to send a message to the Vice President at Universal, Joe Wees, in a bid to make him consider the severity of making light of the severity of the disease as for those with coeliac disease, even trace amounts of gluten can damage the small intestine, eventually leading to even more serious illnesses such as cancer. The blogger urged Joe Wees to reconsider the message of the billboard, stating: “It’s been a tough ride for those with celiac disease since “gluten free” has hit mainstream. 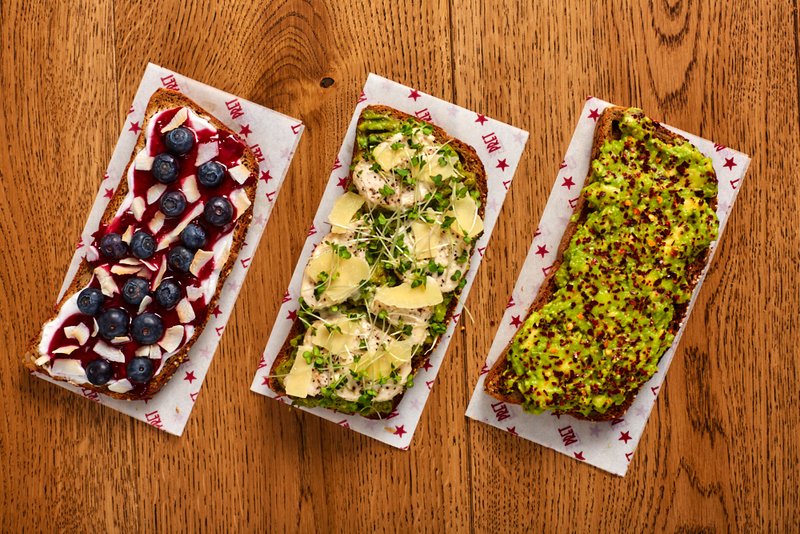 We have been on the receiving end of a barrage of jokes at our expense, ” and claiming these kinds of ‘jokes’ “make it more difficult for those with celiac disease to be taken seriously”. You can read Gluten Dude’s full letter to Joe Wees at Universal here.